NOTE from DearMYRTLE: Thanks to Cousin Russ for spotting this news coming across the wires this week. RAMSEY, NJ--(Marketwired - June 27, 2016) - Konica Minolta Business Solutions, U.S.A., Inc. (Konica Minolta) announced today the launch of bizhub® Connector for FamilySearch, an easy-to-use app that can be accessed directly at the Multi-Function Printer (MFP) for easy scanning and storing of historical family photos and documents in FamilySearch, one of the most popular online genealogical resources in the world today. A quick way to celebrate and share family heritages, the bizhub Connector for FamilySearch app allows users at Family History Centers and elsewhere to safely and conveniently digitize and store their important family photos and documents. Easily enter titles and descriptions for scanned items to identify them within FamilySearch. 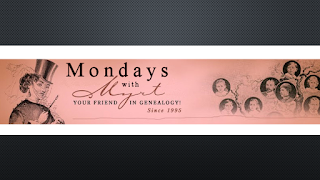 Specify a Person ID to automatically associate scanned photos or documents with a particular person in a Family Tree. Classify a scanned item as a FamilySearch source document (birth certificate, marriage certificate, etc.) to be attached to ancestors. Use the Automatic Document Feeder for scanning multiple-page originals to maximize productivity. "This new addition to our cutting-edge bizhub MarketPlace platform emphasizes Konica Minolta's commitment of creating innovative solutions for use with our MFPs," says Kevin Kern, Senior Vice President, Business Intelligence Solutions and Product Planning, Konica Minolta Business Solutions, U.S.A., Inc. "With this app, we empower users to easily and efficiently digitize old photos and documents and preserve family treasures." "Konica Minolta has been extremely responsive to the needs of FamilySearch customers in creating this bizhub Connector," says Gordon Clarke, Business Development Manager, FamilySearch. Konica Minolta Business Solutions U.S.A., Inc. is a leader in information management focused on enterprise content, technology optimization and cloud services. Our portfolio of offerings deliver solutions to improve our customers' speed to market, manage technology costs, and facilitate the sharing of information to increase productivity. The All Covered IT Services division offers a range of IT strategy, support, project and cloud computing solutions across all verticals. Konica Minolta has won numerous awards and recognition, including placement in the Leaders Quadrant on the Gartner 2014 Magic Quadrant for Managed Print Services (MPS) and Managed Content Services (MCS). Konica Minolta has been recognized as the #1 Brand for Customer Loyalty in the MFP Office Copier Market by Brand Keys for eight consecutive years. Konica Minolta, Inc. has also been named to the Dow Jones Sustainability World Index for four years in a row. For more information, please visit: www.countonkonicaminolta.com and follow Konica Minolta on Facebook, YouTube, and Twitter@konicaminoltaus. bizhub is a registered trademark of Konica Minolta, Inc. All other trademarks mentioned in this document are the property of their respective owners. 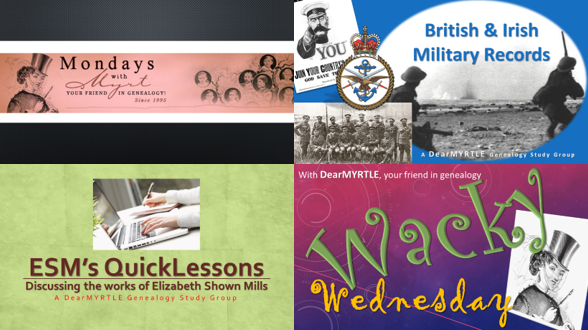 Powerful family history breakthroughs happen during our video hangouts. 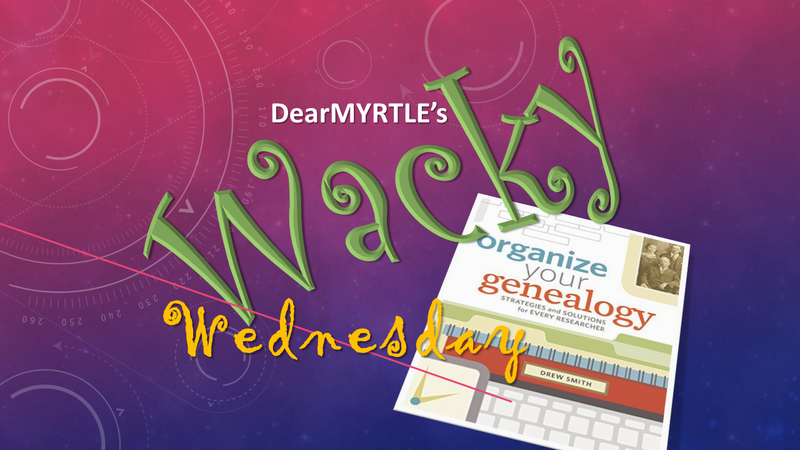 Let's talk about what's trending in the world of #genealogy. with Claire V. Brisson-Banks and Audrey Collins. Elizabeth Shown Mills, “Sources, Information, Evidence," Evidence Explained: Historical Analysis, Citation & Source Usage (https://www.evidenceexplained.com/content/sources-information-evidence : accessed 30 Sept 2015). Elizabeth Shown Mills, “A Basic Vocabulary for Historical Research," Evidence Explained: Historical Analysis, Citation & Source Usage (https://www.evidenceexplained.com/quicktips/basic-vocabulary-historical-research : accessed 30 Sept 2015). Due by Noon on Monday before this session. 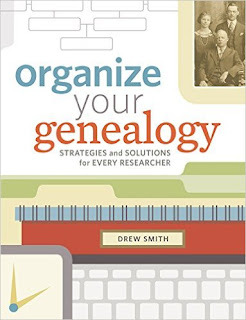 Study the following QuickLesson, then post a blog by or public Google Doc with specific example(s) about how this concept applies in your personal genealogical research. Include your name and the QuickLesson citation (shown below) at the top of your homework. Then share your homework link in the "unified chat" for this specific study group session. This way Ol' Myrt and other participants can review your homework in the two days before this session. 9pm Eastern US (New York)Wonder which of DearMYRTLE's *very* distant cousins will host this hangout? Our topic? 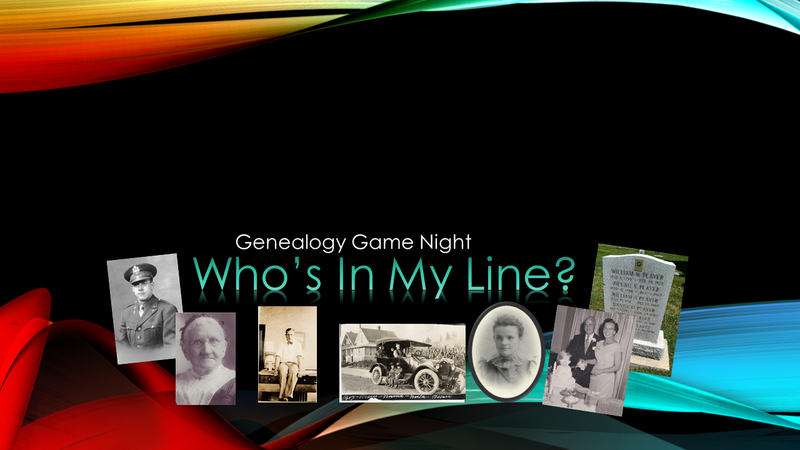 An hour focusing on as single genealogy topic, TBA. Hilary Gadsby states "Evidence is not what we read, see or hear in a source. It is our interpretation of what the information in the source is telling us." 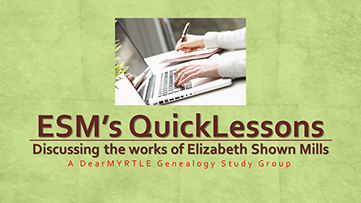 In this study group session, we explore Elizabeth Shown Mills' three classes of evidence, how to craft a research question, the importance of correlating evidence and the importance of writing our "current thinking" when answering the research question. We also make the distinction between negative research results and negative evidence. WOW! We stayed an extra 34 minutes to get through this meaty subject. Donna B says "This was great! I'm beginning to understand how indirect evidence can be helpful." She also likes the use of a chart to keep track of all information items that factor in the conclusions we may draw. WHAT WAS THE LAW and DID THE LOCALS FOLLOW THE LAW? We also mentioned the importance of knowing the laws in force at the time of an event in the ancestor's life. Lisa Gorrell's homework included the page from the state statute regarding the age of a young woman at the time of a marriage. Lisa managed to explain why there was no parental approval for the marriage of an apparently underage bride. It was from correlating information items from a variety of records that Lisa could arrive at reasonable conclusion about the woman's birth date. 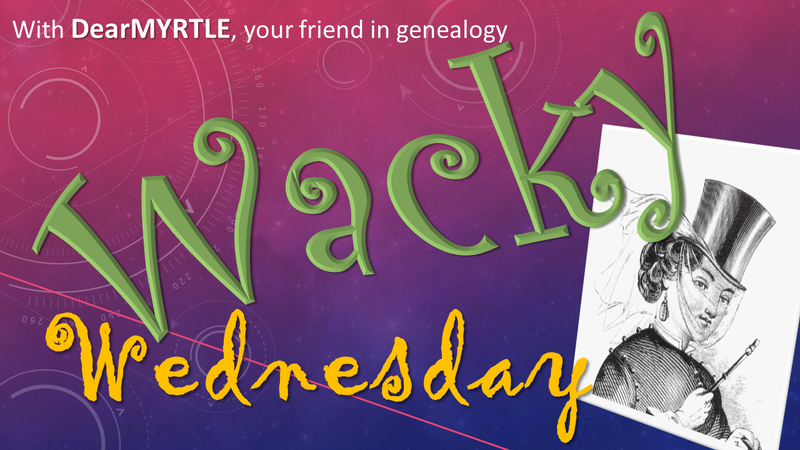 We suggest placing your written conclusion in note for the event in an ancestor's life. Viewer Valerie Eichler Lair writes "In my software I put abt. before the date to show that I do not have an original document with direct evidence with primary information of the date. And then in my reports such as "Location List" I can clearly see what event needs more research. abt. tells me (and others) that I got the date from age in census, an obituary, a tombstone, a death record with a birth date, etc"
Be sure to watch this video to find out why we decided direct evidence doesn't have to be accurate. Panel participant Pat O'Donnell Kuhn has been deep diving in the National Library of Ireland Catholic church records. Thankfully, she has discovered an every-name search available to these same records at Ancestry's Ireland, Catholic Parish Registers 1655-1915. Irish researchers will appreciate the 20,000+ map collection at the National Library of Ireland. Cousin Russ pointed us to Ancestry's Latin-English word list. Betty Lu Burton writes "Some people are afraid to look in a foreign language, what they do not realize is a lot of time all you need to know is a few words and how to skim the records for the name and dates." Lisa Gorrell agrees "That's true, Betty-Lu. 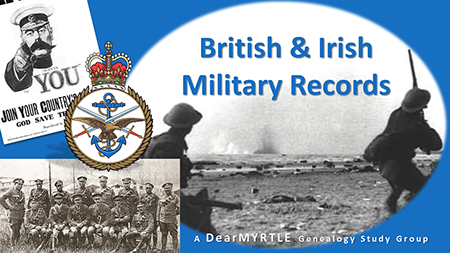 Once the record is found by finding their names, you can always find someone to help translate the rest of it." Randy's take on this is posted in Creating a MyHeritage "Sun Chart"
Just a reminder: "We've noticed that one or two folks are using this hangout chat platform as a method for distributing info on their own agenda, totally off topic for the hangout at hand. We ask that such individuals refrain from self-promotion and consider using their own blogs and hangout accounts for such activities. Individuals who do not honor this request will be removed from the community as with our Facebook Group and Google+ Community policies. Thank-you." 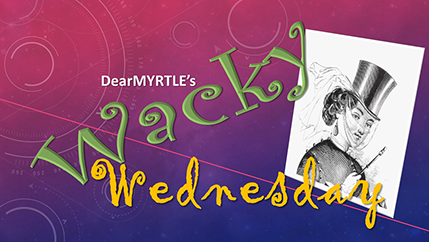 NOTE from DearMYRTLE: The following was received from our friends at Aha! Seminars. There is a difference with what you can create using Adobe Spark Video and Adobe Spark Page. My *very* distant cousin, Pinky went in "cold" and experimented with Adobe Spark Page, inserting some still photographs and a few comments. Thanks to input from Cousin Russ and the viewers, we were able to create a unique method for sharing the old-timey family photos. Adobe Spark Page did all the zooming in and out, and movement from one image to the next as long as the viewer scrolled down the page. The viewer can pause, back up and go forward with the movement of his mouse. so you can read all the comments and links posted before, during and after the live hangout. Feel free to post your own comments. We love the continuing conversation! All it takes is a Facebook, Google, LinkedIn or Twitter account to log in. Register to reserve your seat, then follow the unique link in your confirmation email to view and comment before, during and after these DearMYRTLE genealogy hangouts. Cousin Russ and I look forward to seeing you! Elizabeth Shown Mills, “QuickLesson 13: Classes of Evidence―Direct, Indirect and Negative,” Evidence Explained: Historical Analysis, Citation & Source Usage (https://www.evidenceexplained.com/content/quicklesson-13-classes-evidence%E2%80%94direct-indirect-negative : accessed 30 Sept 2015). Our topic? An hour focusing on as single genealogy item, TBA. This is the link to this study group's Google Sheet with links we mention during the series. Kudos to our course coordinator, Claire V. Brisson-Banks for maintaining this with updates before and after each session.